In 1984, God sent a wonderful man into my life. Earl, a hospital chaplain, introduced me to Jesus. Earl and I married in 1985 and took custody of my daughter. 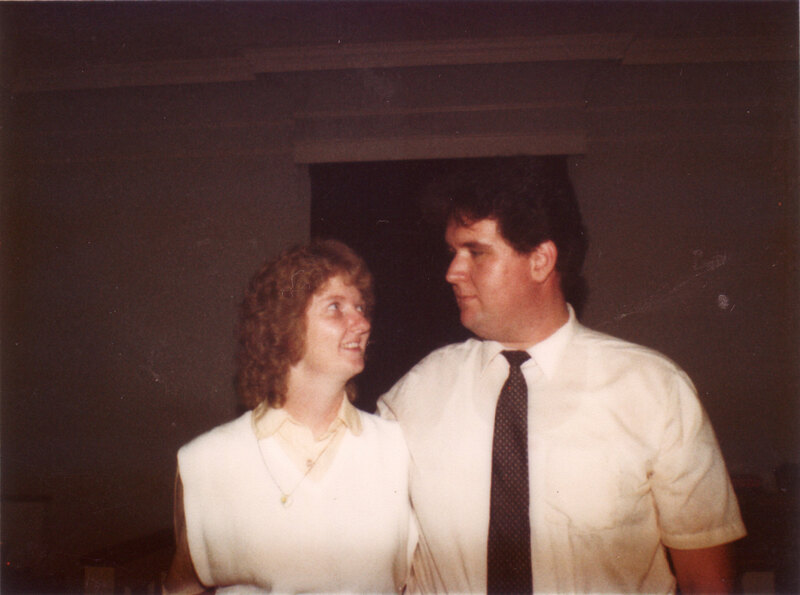 Our first pastorate moved us to a small church in Western Kentucky. On January 1, 1991, an automobile accident injured my spinal cord at C-4 paralyzing me from my shoulders down. My doctors offered Earl the choice of life or death for me. He recalled his wedding vows and his promise to God and me, “in sickness and in health, forsaking all others, keeping thee only unto her, so long as you both shall live.” He chose life. Through rehabilitation, God blessed me with the ability to use my arms and I learned how to do many things for myself. Returning home, I succumbed to anger and depression and spent many years shutting out the world with veiled eyes. Earl gave me a laptop computer in 1993 and encouraged me to journal. I handed out the first copy of my testimony in 1997. I’m so thankful for a Father who cares and will never hurt me. One who lavishes me with His love and blesses me with His goodness. He who has not only forgiven my sins, and remembers them no more, but has healed my wounds and carved my name in the palm of His hand. I have filled many positions in local, district and conference levels of the Memphis Conference of the United Methodist Church. I blog at SnapShots: Devotions From Life. I’m currently writing a memoir about this life God has granted my family. I love to tell what Jesus has done for me. “Being confident of this, that he who began a good work in you will carry it on to completion until the day of Christ” (Phil 1:6 NIV). look forward to reading more , Bert , i got here from the upper room . Harlan, Thanks for following the links. I know how how hard it is to share the things we hide deep inside our hearts. Thank you for opening your heart to share your pain, your joy, and most especially what God has done in your life. I look forward to reading more of your musings. Thanks, Janet. Keep checking on me.